Essensuals in Guilford have ramped up the red on my auburn locks - just in time for winter. It’s been a while since the Muddy barnet was tamed. Most days my thick frizzy mop is a crazy mess – more Worzel Gummidge-style than just-stepped-out-of-the-salon style. And to make matters worse, it was also peppered with greys. 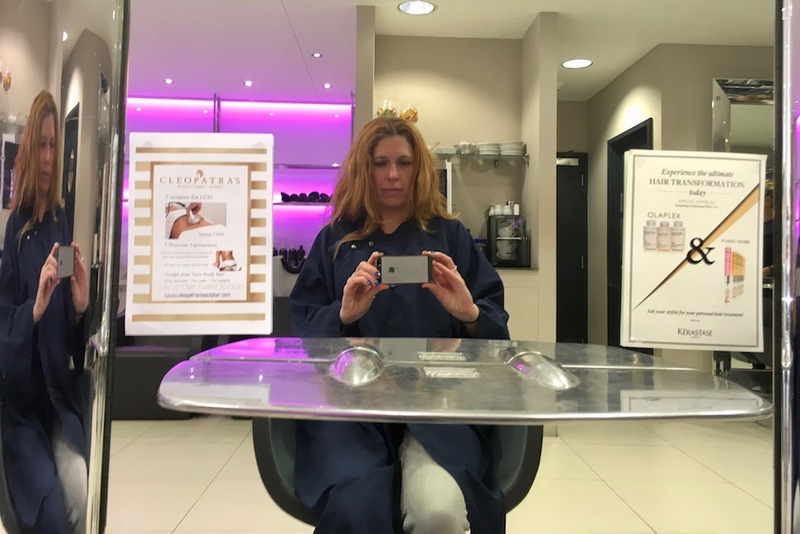 My poor locks needed help, and who better to Scissorhand it into shape than Muddy awards finalists Essensuals in Guildford. I’m desperately in need of colour – mainly to cover these pesky greys, but also to sort out the effects of the summer. My hair is a bit frazzled and bleached out by the summer sun, so the colour is all over the place. I’m keen to brighten my auburn locks for the winter – but don’t want it to look brassy and cheap. Plus, I need a trim to take some of the weight out of it. Essensuals is situated in centre of Guildford, at the top end of North Street beneath the TGI Friday restaurant. 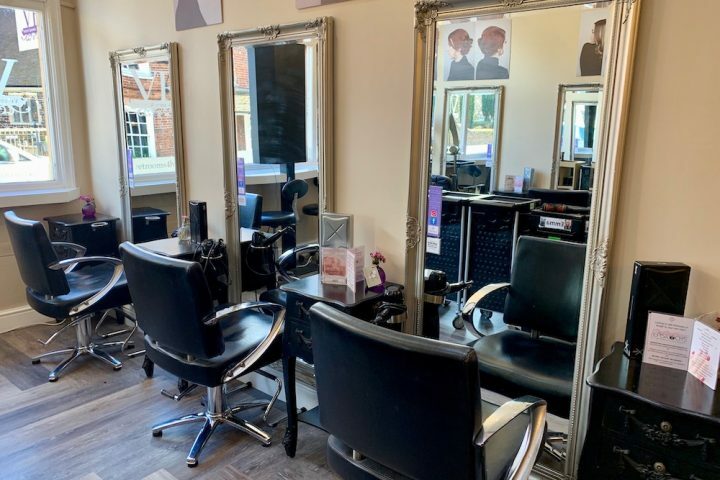 It’s part of the Toni & Guy group of salons, therefore all the hairdressers and colour technicians are trained at the world renowned Toni & Guy Academy in London. I feel I’m in safe hands. Inside, the salon has a funkily distinctive feel, with changing neon lights and lots of mirrors. 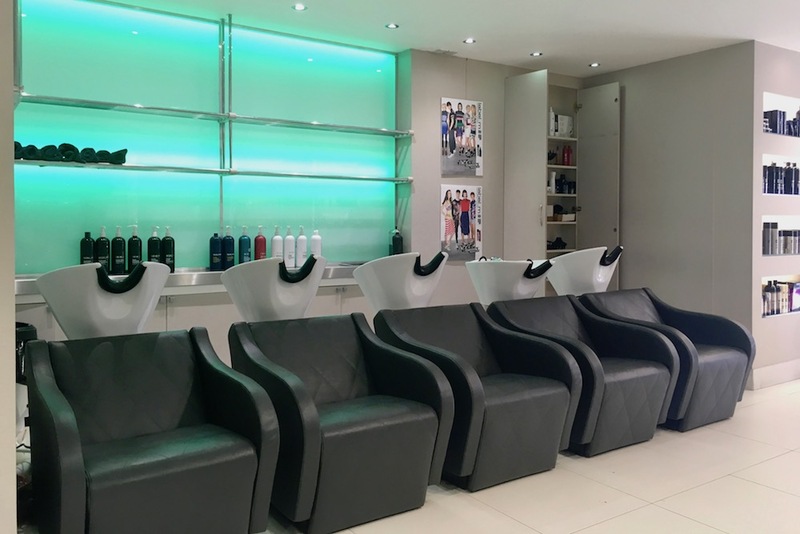 It’s a large salon with a spacious and bright feel to it. Essensuals has a really friendly atmosphere, so much so that I would have been happy to stay a bit longer if I didn’t have to dash off for the school run. For the cut I was put in the very capable hands of Daniel, while Joe took care of the colour. My hair is ridiculously thick, and it can take hours to get it cut and coloured, but I was in and out in just over two hours. Now that’s impressive. THE COLOUR I wanted to jazz up my colour and do something a little different. But not too different. My hair is naturally an auburn colour, and I wanted to ramp it up and add a little shine. 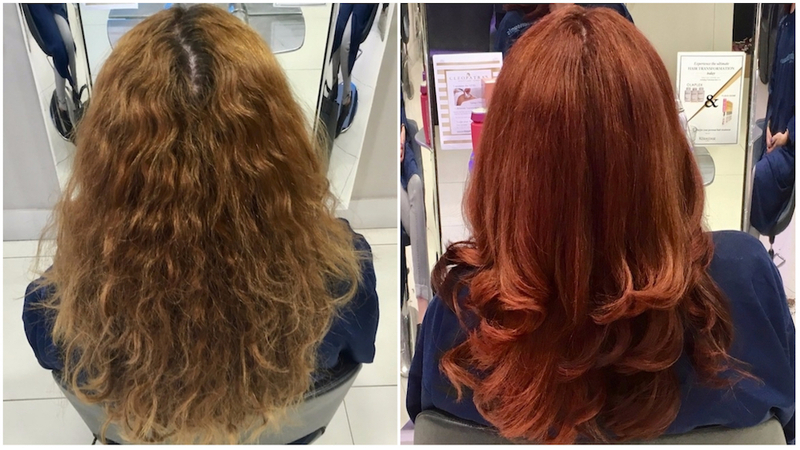 Joe used a semi-permanent coloured gloss – mixing together two different shades to produce the right shade of red. Joe knows his stuff when it comes to colour and deftly directed me to the shades he thought would suit my skin colour and tone. The colour is painted onto sections of hair, and then sort of massaged into each section before being left to develop and then washed out. 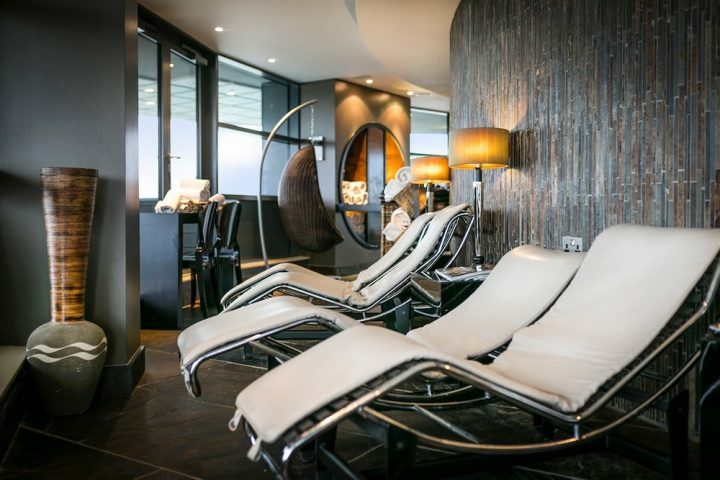 It would be totally remiss of me, if I didn’t mention the wonderfully long and relaxing head massage – it’s one of the best I’ve had. The massage chairs, too, are worth a mention. It’s a nice touch. THE CUT I hun my head in shame when I admitted to Daniel that my last cut had been about three months ago. I’m not sure he really needed to ask, to be honest. My usual long layers had grown out unevenly, resulting in a thick and heavy section across the middle. And the weight meant that my usual natural curls were being dragged down, creating more of a frizzy effect. On a positive note, Daniel did note that the bonce was in pretty good condition. I rarely blow dry my hair these days, so it’s good to know my laziness has been beneficial in one way at least! I’m thrilled with the colour – and two weeks later, I’m still really happy with how vibrant and shiny it is. I’ve had lots of lovely compliments, which is lovely. Daniel’s cut has given my curls a real lift – and taken a lot of the dead weight out. A ladies’ cut and blow dry is from £40 – £60, and the natural glossing is from £42 to £50, depending on who does it. A full head of highlights is from £81 to £97, with a half-head coming in at between £59 and £75. Essensuals also offer Balayage from £80. Ooh la la, you’ve gone all Mad Men! like it!